Cutting fabric used to really stress me out. I think it was stressful because I was operating under the idea that all my fabrics were -on their own- way better than any of the ideas I had about what to do with them. Not to mention, I was basically convinced that everything was scarce and I’d never be able to get more of something I really liked if I messed up with the quantity I already had. Even if that was the truth every single time – what good is it, what the heck am I getting out of having a pile of fabrics just sitting around? Nothing. Okay, they are pretty, I’ll admit. Do you do this? Do you feel inspired by supplies but have a hard time deciding how to use them? Wait for the perfect idea? Feel too intimidated by the materials? Do you do this? Do you feel inspired by supplies but have a hard time deciding how to use them? No more! You gotta cut the fabric. It’s not like I’m making confetti out of it, I’m not just cutting it up for the sake of cutting it up, I have a purpose – I’m making new cool things, but I don’t usually have a plan. Getting started and just digging in is the most important part. Without the first cut, I’d get nowhere, plan or no plan. Having a large tub of fabric bits is great, and I love that, but using them up means I’ve made room to buy more! 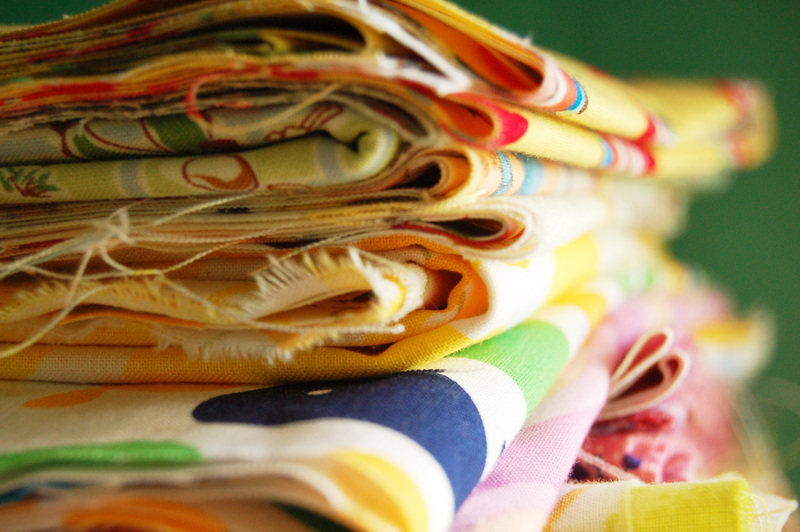 Fabrics are nothing without brilliant ideas of what to do with them, so go forth and cut your fabrics! And while you are at it, break out some of that other stuff you’ve been staring at for too long. Break those brushes in! Crack the binding on the sketchbook and stop worrying about using all the ink in those “special” markers. Because life is short and fabric is just processed cotton (that’s really fun to shop for). So what if you mess up sometimes? Through the mess and madness of mistake making, something cool will happen, and the ideas that mistakes generate are worth the infrequent loss of material. And ideas are like pennies in the piggy bank, money for a rainy day, so don’t worry about messing up, just worry about finding time and getting started. And having a sharp pair of scissors. *handwovens are extremely difficult to cut. If you need a few days and lot of deep breaths before sniping, do that. 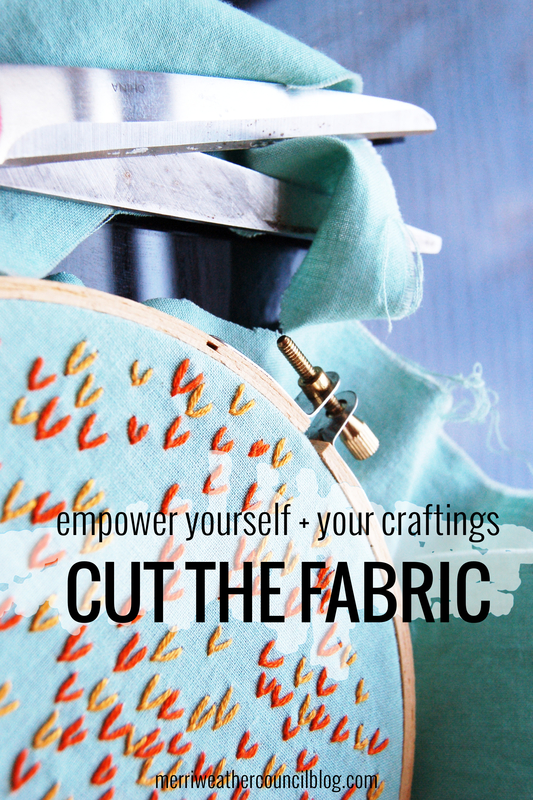 Empower Yourself and Your Craftings: Make Something "Not For Sale"
I am totally that girl. I have about three totes of fabric in my studio that just sit there day after day, waiting for there minute in the spot light. thanks for this, maybe I'll go liberate some of them. I have that same problem. I have fabric every where waiting to be used and I just stare not knowing what to do with it. Oh, this has SO been my problem in the past, not just with fabric per se, but with art supplies in general. A new blank sketchbook can be terrifying, and also exciting and liberating. But that feeling of hesitation, surely every artist and crafter knows too well. Thanks for this inspirational post! I have some "cutting" of my own I need to do right this minute that I've been putting off. Black notebooks/sketchbooks are the scariest! It can be hard to part with some things, but in the end i think it's worth it. "liberate and create" is a great motto! YES yes yes. I am this. I do this. You are speaking to the uncut fabric pile of my soul. Haha. You are absolutely right about just freakin' cutting the fabric and not overthinking it! I do find it hard to just use the fabric. Waiting for the PERFECT idea to hit me. But how will it ever hit me if the fabric is still in the plastic bag that i brought it home in, in the plastic bin, at the bottom because that was 5 years ago?? I actually have some fabric (and faux leather) that I bought in Italy when I studied abroad in college in 2005 that I HAVE YET TO CUT INTO. Did you write this post just for me??? Maybe today…. today I shall cut into it! And then I will show you what I did with it :) It's a plan. Yes i wrote this for you! haha now- go cut those italian fabrics and let me know how it goes!! Great idea…cut that fabric and don't let the dust settle on them! I didnt want to cut into my vintage fabrics because I was afraid it would disturb their history…ha! Now I'm loving what I can make with them and bring their history and beauty to others to enjoy in the now! Thanks Danielle! Danielle — If I don't use all my fabrics — I will put you in my will :-) ! leelee – my thoughts exactly! allisa – make something and let me know how it goes!! sharon – haha thank you! Danielle – great update! Love it!! Describes me to a T! I just cut into the precious piece of Liberty that I bought a few months ago. It was a tiny cut to make, but still difficult! Silly, really. I also have a hard time starting new sketchbooks, and a trick I’ve learned for myself is to start on page 2 or 3. For some reason that’s less intimidating! Thanks for encouraging us to make the cut…I see this idea spilling over into more than just fabric. Hey Mollie! Proud of you for making the cut. GOTTA DO IT!! 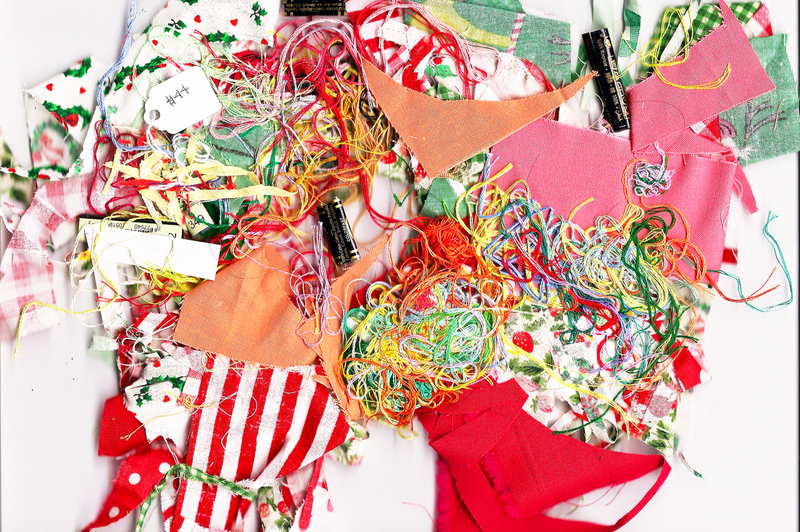 Cut the fabric…and then throw away the tiny scraps! I have a serious fiber hoard. I use fabric every day but then I sell the finished product and never see my beloved stash again! It’s super hard to cut into my thrifted sweaters sometimes. 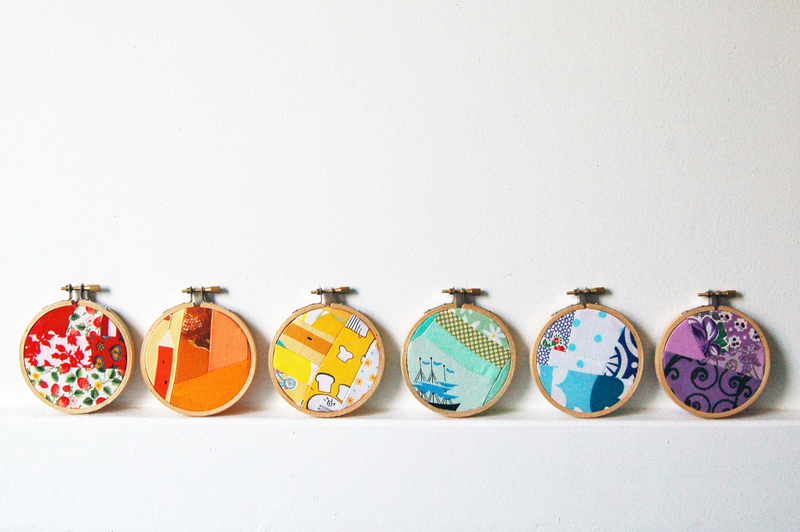 I should really make more things for myself so I can get to love it in a whole new way!